So... 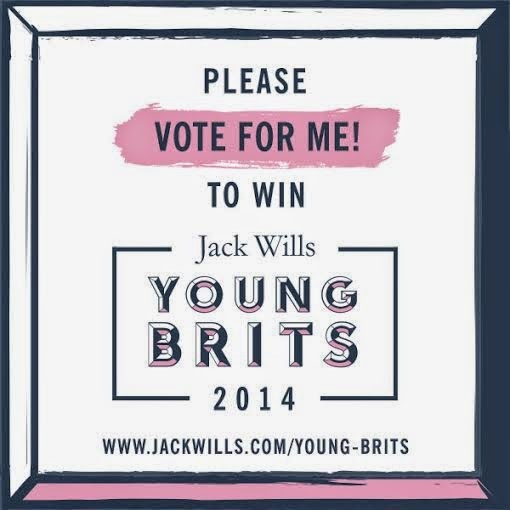 I've been nominated for the Jack Wills Young Brits competition 2014 in association with the i paper! 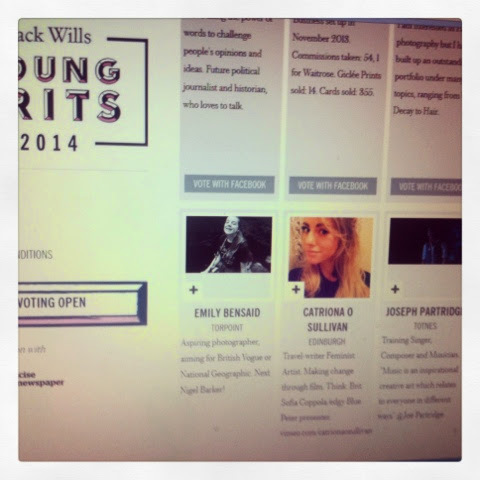 The winners get work experience at the i paper and £5000 - which I would spend on a social documentary project - so I would really really appreciate you voting for me. "From 16 May - 15 June the public will be able to vote 2 people per category. Based on the popular vote and the quality of the applicants' submission 10 semi finalists from each category will be selected." You have to vote via your Facebook account, but it doesn't post anything to your Facebook at all (don't worry - I checked). You literally just click a button and that's it. There are various categories. 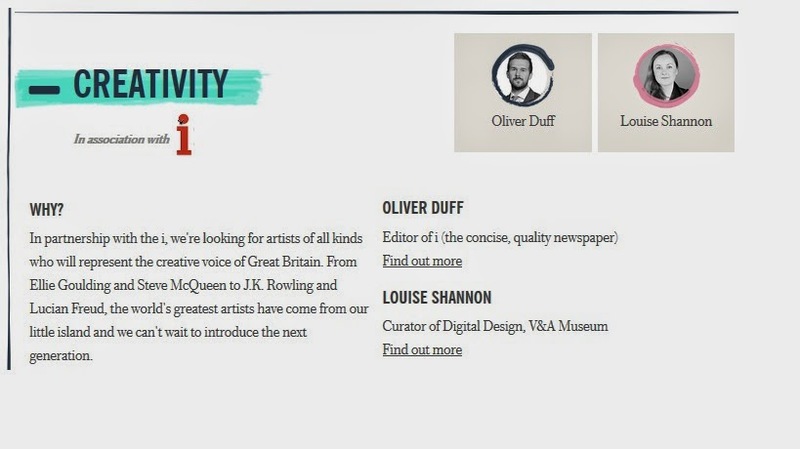 I am under 'Creativity'. 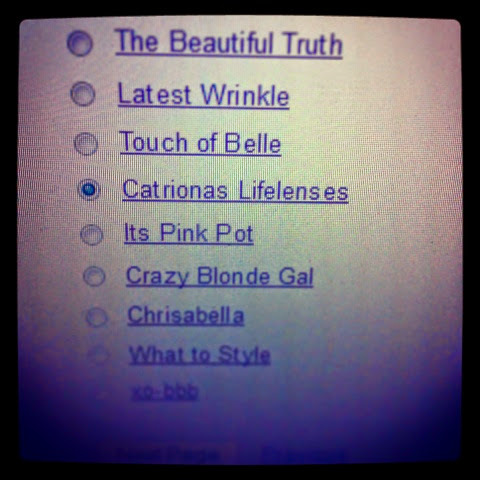 On the voting page just search for 'Catriona' under Creativity and my profile will pop up. I am going to make a short film for my application to explain what exactly I want to do in my social documentary project etc. If you want to read my full application, you can read it at the bottom of this post (because it is long and annoying and you might not all want to read it). The deadline is the 15th of June. This sort of campaign been successful for me previously. 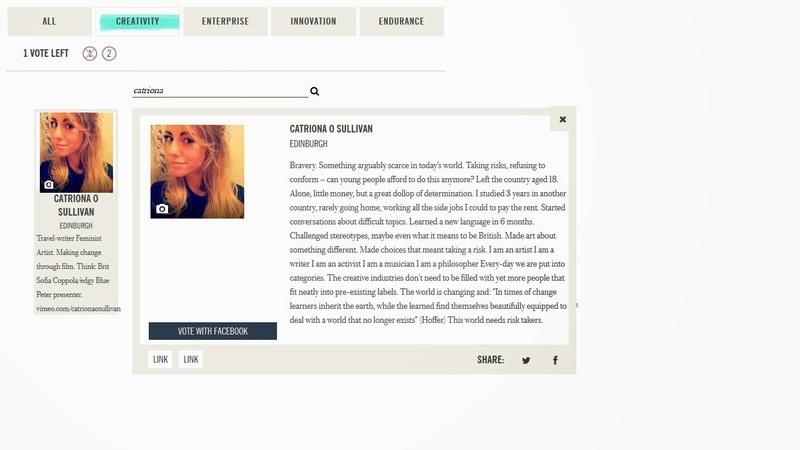 Due to public votes I have now been shortlisted for the Company Magazine UK Style Blogger Awards, under the category Best International Newcomer. 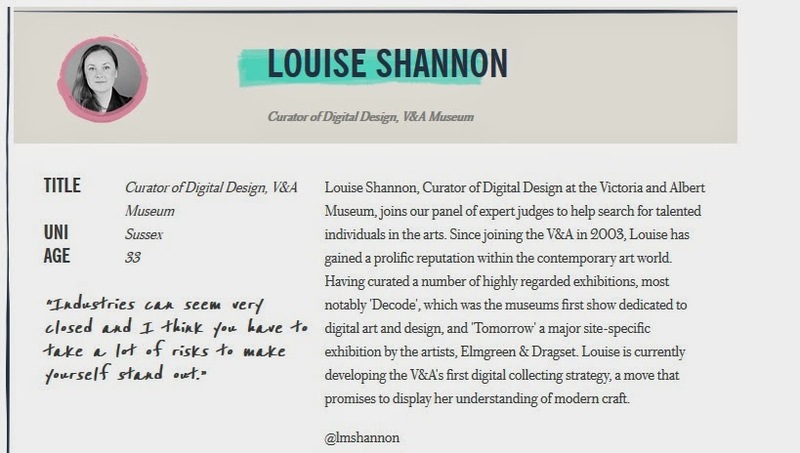 I will be going to the awards ceremony in London in mid-June and will let you know how the result goes, but in general it's just an amazing networking opportunity for me and a good way to meet other people in the creative industries. 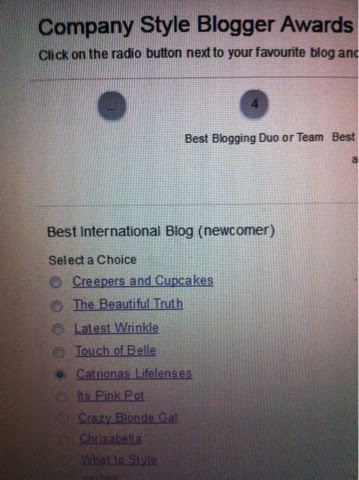 So thank-you so much to everyone who voted. I really appreciate it. Something arguably scarce in today’s world. Taking risks, refusing to conform – can young people afford to do this anymore? I left the country aged 18. Alone. Very little money, but a great dollop of determination. I studied for 3 years in another country, rarely going home, working all the side jobs I could to pay the rent. Started conversations about difficult topics. Learned a new language in 6 months. Challenged stereotypes, maybe even what it means to be British. Made art about something different. Made choices that meant taking a risk. Every-day we are put into categories. This world needs risk takers. Summarise what you do that makes you extraordinary in 140 characters or less. This is what the public will see so make every word count! Making a change through film. Think: Brit Sofia Coppola /edgy Blue Peter presenter. The digital age has changed the creative industries undoubtedly. It has levelled the playing field, allowing everyone and anyone to be a creator of content or a critic. It seems to have made the arts more accessible. However we are at a crucial turning point. Will it continue to be a springboard for creativity, or are we poised on the cusp of something detrimental? For example YouTube – we are in limbo between low budget films getting the chance to become internationally renowned, and a strange Vlogging culture with ‘celebrity’ YouTubers’ lives becoming a performance. Fashion bloggers transcending the elitism of the fashion world, or a new way for unhealthy ideals of beauty to be reaffirmed and stagnated by young vulnerable girls? Political protests organised online, or anonymous bigoted rantings that are not well founded? The social change happening in Europe and around the world, combined with new forms of creativity popping up online, means that this is an especially exciting time. 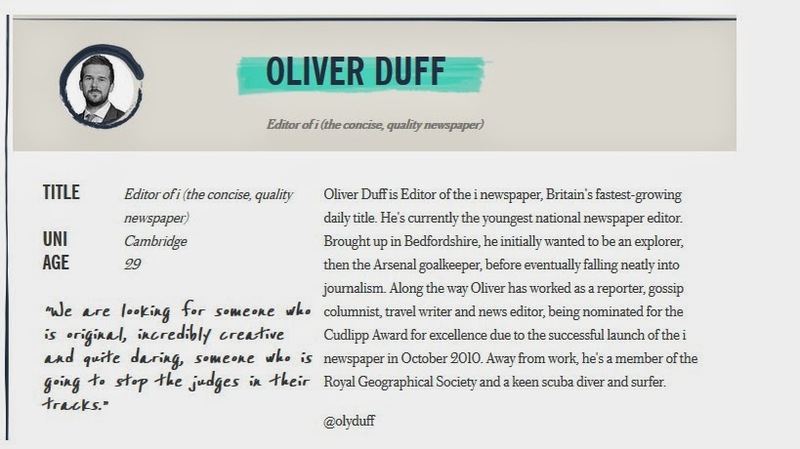 I would like to be working for an arts publication, as well as make films focused on ‘alternative’ ideas. I hope to have grown as a person and perhaps have helped or inspired others to grow too. It is difficult to know what you might want in 5 years’ time, as (hopefully!) a lot will have changed by then due to experience. However, I would hope that I could be a role model in whatever creative endeavour I choose to put my mind to - especially for those from non-conventional backgrounds. I feel strongly about deconstructing deep-rooted stereotypes. Oh and I would quite like a pet tortoise called George and to have learned Icelandic. 4. Get others involved. Find out what their story is. Share ideas. I want to make a film and start up an interdisciplinary magazine - both acting as platform for new creatives who refuse to be boxed. Both those projects are things that I want to use as a means of facilitating social connection between different parts of cities or even different parts of the world. I want to use creativity to bring communities together and give others a chance to express themselves without boundaries. There are changes in the world happening right now, and when things seem unstable and uncertain people want to ‘do what we always did’ or ‘stick to our own’. My creative hunger, different perspective, mix of interests, and the fact that I have overcome difficulties in the past, mean that I think I could help facilitate others in thinking differently too. I would like to do this through print and film. I would put the prize money towards travel, equipment and training in order to allow the projects to be as accessible as possible. Which British icon has most inspired your achievements and why? It’s difficult to choose just one person. But among them would have to be Stephen Fry due to the fact that he has shown that it is possible to be successful in more than one area. Joanne Rowling because she is so talented, intelligent and determined, has suffered difficulty and come out the other end, and of course because she has campaigned relentlessly for Multiple Sclerosis, Amnesty International and Lumos – the charity she set up herself. Alexa Chung, Lauren Laverne and Emma Watson because I am a particular proponent of strong, stylish, intellectual and witty females in the arts. Annie Mac – for her work promoting new up and coming / unknown / unsigned musicians on Radio One. And lastly Danny Boyle, due to his skilfully made and socially-aware films. To be ‘Fabulously British’ does not need to mean fabulously inward-looking. 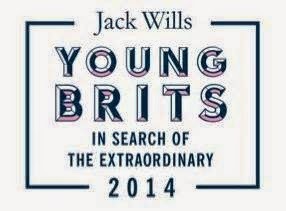 It is possible to have a sense of style, to be proud of the history of Britain without becoming blind to hidden gems – people who fall through the class divide who have talent, and add to the forever changing tapestry that is Britain. That we can challenge our preconceptions and, through creative projects, we can maybe try to give the voiceless a voice. I worked on an organic farm in Norway aged 17. 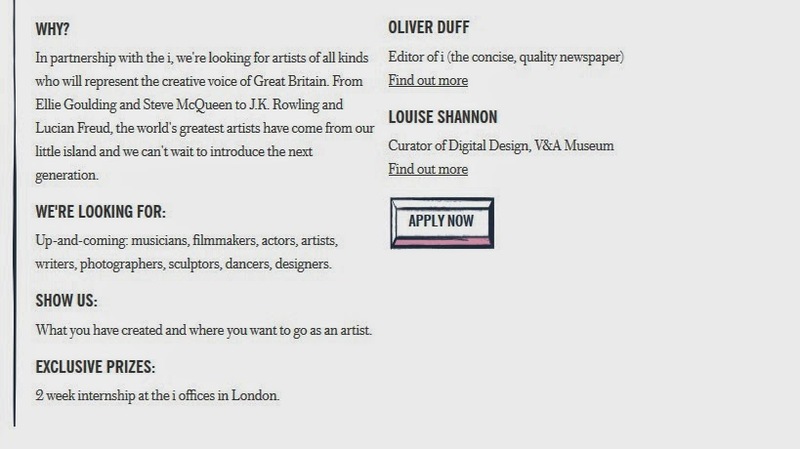 I have had work experience with the art departments for both the BBC and ITV (STV), the Edinburgh International Film Festival, Fashionclash International Design Event in The Netherlands and Amnesty International. I have worked as a dance teacher, undertaken workshops with Scottish Ballet and trained with Ballet Wests’ youth programme. I took photographs in Kosovo depicting a recovering area finding its’ new national identity. I (not so) secretly love Eurovision.